CuckooTech is a unique T&A solution package with patented biometric hardware and ADIS enabled enterprise software platform. It is an integrated solution. Hardware and software work together to get the most out of each other. The solution is designed to give you the best of cloud technology as well. We are Opportune Technologies Pvt. Ltd. A progressive, new age organisation. We are here on the HR automation scene for more than 12 years, creating new products, making a difference, achieving awards.HR Automation is our passion. Along with HR processes, we automate the HR knowledge, information and intelligence into useful software platforms for you. And keep refining them to the next level relentlessly. Our OppLab keeps us at the forefront of HR technology. Through this initiative our experts understand the human needs of the workforce, bottlenecks in processes and then convert it into real life pragmatic solutions. The device management with Cuckoo Tech works like a dream. Our ADIS platform makes the real difference, it makes the use of latest in Cloud & Internet of things [IoT] technology to create real life benefits. With our device management function, now there is no dependence on a skilled engineer to go to each and every location for biometric device installations. It saves about 40% to 60% on cost of installation. Implementation time is reduced to 40%. In day to day operations as well, it impresses with real-time, seamless capabilities. Cuckoo Tech is designed for the utmost support to the HR professionals. It empowers you to configure the Attendance Policies with great flexibility. Industries from BPO to Retail, Manufacturing to services are gaining the Cuckoo advantage all over the country. Everyone talks about data. But the real magic lies in its interpretation. Our HR domain expertise makes the real difference here. Our MIS reports and HR analytics module help you take decisions. To save cost. To understand trends. To increase productivity. 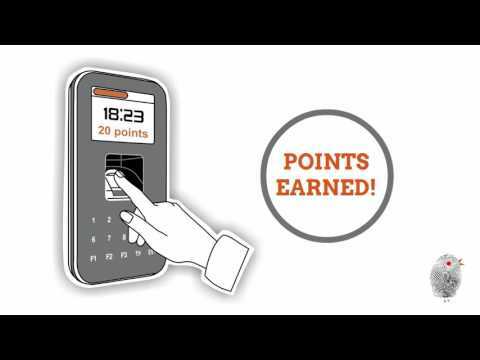 It’s interesting to note that most Time & Attendance solution starts with a biometric hardware. But Cuckoo Tech is different. It is created by Opportune Technologies who are enterprise HRMS expert. We understand HR and compliance needs of organisations. We have seen all kinds of HR and compliance scenarios in the country for about a decade. Our HRMS solution is used by more than 125,000 employees in varied industries from manufacturing to service industry, from BPOs to retail chains as well. For most people enterprise software means SAP & Cuckoo Tech can be integrated with all ERP softwares, be it SAP, Microsoft Navision, Oracle, Tally or any home grown ERP Software. Cuckoo Tech comes with API & web services which integrates seamlessly, effortless & on real time with ERP solutions. For any modern organisation the foremost priority is employees. We all are aware of cases where companies have taken services of brand managers for internal company branding for employees. Knowing this fact Cuckoo’s My Attendance function is designed for today’s employees, who are demanding more, expecting more. We even know them as Time Gatekeeper, the controller has serious responsibility to maintain every resources, daily time & attendance record, including over time, Outdoor, breaks. Cuckoo’s specially designed dashboard for controller is a game changer. Roaster planning has been used since multiple decades across various industries, verticals & domains. The real change that’s occurring in work-places is the complexity of task. And demand for real-time performance. Cuckoo Tech has the capability to cater to all kind of such scenarios. Looking for the attendance system designed for 21st-century scenarios? Cuckoo Tech is the answer. The only gamified attendance system in India. With biometric attendance on the cloud, real-time data, it's great at handling multi-location, shift-planning, geo-location demands. Contractor management and compliance adherence too. It is successfully stress-tested by some of the most demanding HR managers, in industries, like Retail. ITES, Hospitality, manufacturing.